Sony has announced a new wearable, water-resistant Metal Gear Solid: Peace Walker themed W250 Series Walkman MP3 Player. 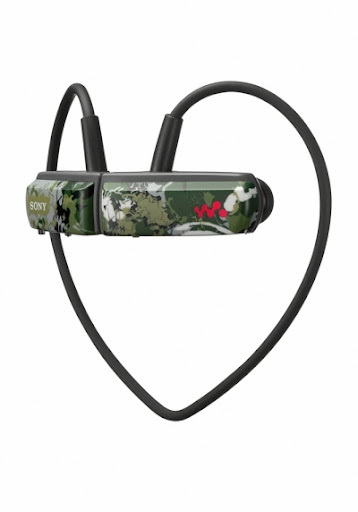 The new Sony Walkman W Series, model NWZ-W252, features a convenient lightweight, wearable and water resistant design. New camouflaged styled KONAMI’s Metal Gear Solid: Peace Walker version allows for exclusive access to original designed characters. The Metal Gear Solid: Peace Walker themed Walkman also comes pre-loaded with the video game soundtrack, available nowhere else in the U.S. Additionally, the limited edition version comes packaged with a coupon code, allowing gamers to unlock original designed characters and special Walkman apparel. With 2 GB of maximum capacity, the new Walkman W Series can hold approximately 470 songs (4 minute length MP3 playback at 128 kbps). The model also features a quick charge function, allowing for up to 90 minutes of use from only three minutes of charge time. Full battery life is approximately 11 hours. Additionally, the new Walkman comes with Content Transfer software, allowing you to move music files of playlists straight from your PC or iTunes library (not including DRM files). Just click on a file, then drag and drop into Content Transfer. The Metal Gear Solid: Peace Walker themed Sony W Series Walkman will be available in June for about $60 at sonystyle.com and Sony Style retail stores nationwide.